This is a list of my English articles that have appeared in anthologies and reference books. Some I have uploaded to my page on the Yale repository. You can find out more about the books or purchase them at Powell's Books (where I've shopped since I was a kid) via my Powell's Bookshelf. A short history of prewar Japanese science fiction, fantasy, and special effects films, focusing on their culturally marginal status. 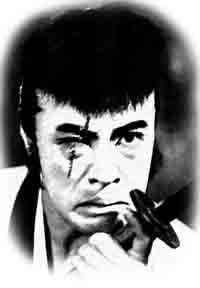 Tsuburaya Eiji appears as a recurring character. "War and Nationalism in Recent Japanese Cinema: Yamato, Kamikaze, Trauma, and Forgetting the Postwar.” Divided Lenses: Screen Memories of War in East Asia. Eds. Chiho Sawada and Michael Berry. Honolulu: University of Hawai’i Press, 2016. Pp. 196-219. An article on on Yamato (Otokotachi no Yamato, 2005), Sato Jun’ya’s box office hit that was produced by the maverick Kadokawa Haruki about the ill-fated battleship Yamato. Taking into consideration not only the long history of films on the Yamato, but also some contemporary kamikaze war films, I argued that the film is not just reworking wartime memory for the sake present-day historical revisionism towards WWII, but that it is utilizing its own depiction of violence to create a kind of “vicarious trauma” whose main effect is a forgetting of the postwar and its own traumatic history of the Cold War. "Critical Reception: Historical Conceptions of Japanese Film Criticism." The Oxford Handbook to Japanese Cinema. Ed. Miyao Daisuke. Oxford University Press, 2014. Pp. 61–78. "Retrospective Irony: Film Festivals and Japanese Cinema History." Film Festival Yearbook 5: Archival Film Festivals. Ed. Alex Marlow-Mann. St Andrews Film Studies, 2013. Pp. 189–199. "Japanese Film and Television." Routledge Handbook of Japanese Culture and Society. Eds. Victoria Lyon Bestor and Theodore C. Bestor, with Akiko Yamagata. London: Routledge, 2011. Pp. 213-225. "Narrating the Nation-ality of a Cinema: The Case of Japanese Prewar Film." The Culture of Japanese Fascism. Ed. Alan Tansman. Duke University Press, 2009. "Wrestling with Godzilla: Intertextuality, Childish Spectatorship, and the National Body." In Godzilla’s Footsteps. Eds. William Tsutsui and Michiko Ito. New York: Palgrave Macmillan, 2006. Pp. 63-81. "Nation, Citizenship and Cinema." A Companion to the Anthropology of Japan. Ed. Jennifer Robertson. Malden, MA: Blackwell Publishers, 2005. Pp. 400-414. "Consuming Asia, Consuming Japan: The New Neonationalist Revisionism in Japan." Censoring History: Citizenship and Memory in Japan, Germany, and the United States. Eds. Mark Selden and Laura Hein. Armonk, NY: M. E. Sharpe, 2000. Pp. 74-95.